For the past year I’ve been traveling with a 12.9-inch iPad Pro and leaving my MacBook Air home whenever possible. Traveling with only an iPad can feel freeing and it can also feel confining, depending on what you need to accomplish. This week I took a trip and brought my laptop along like the old days, and was reminded about what the iPad does well and where the Mac still has the upper hand. The reason I brought the laptop at all is part of the story. Part of my job these days is to host and edit podcasts, and it’s still difficult to do that on iOS. I’m optimistic that this will change in the near future–a bunch of the pieces are in place, but there are still some gaps that require awkward workarounds and increase the risk of utter failure. For the three podcasts I needed to record this week, bringing my laptop along made everything easier. The thing I liked the best about having a Mac laptop with me was its power as a writing tool. I have written a lot of words on my iPad Pro, but the ideal configuration for that is to use an external keyboard and a stand, which requires me to work at a desk or table. The MacBook Air worked great on a table or sitting in my lap. If I had brought the 9.7-inch iPad Pro, I could have used the Logitech Create Keyboard, which makes it a pretty great writing machine. I’ve yet to find a keyboard for the larger iPad Pro that doesn’t add a ridiculous amount of bulk. And since I brought the laptop, I didn’t bring an external keyboard for the iPad, reducing the clutter and weight in my bag a bit more. If I didn’t have podcasting responsibilities, though, the 9.7-inch iPad Pro with the Create keyboard might be the perfect traveling writing machine. But I love the larger iPad Pro’s 12.9-inch screen so much that I’d rather travel with it than the smaller model. With both an iPad and a MacBook Air in my travel bag this week, I discovered that for almost everything I did other than writing and podcasting, I preferred the iPad. Whether it was reading news on the Web, scanning Twitter, interacting with my colleagues and Slack, or even pulling up a TV show or movie at the end of the day, those were things I could do on the Mac, but didn’t want to. When I opened the Mac I was focusing on very specific kinds of work; I could use the iPad casually while sitting, eating breakfast, or watching a baseball game. Still, after an extended period where I’ve spent very little time with my MacBook Air, I’ve been reminded of all the good things about it. (It used to be my primary Mac; these days I use a 5K iMac at my desk all day, but use the iPad rather than the laptop the rest of the time.) Quite simply, there are things that my MacBook Air can do that my iPad Pro just can’t–software like audio plug-ins and utilities, direct access to the Terminal and a bunch of command-line utilities, and Automator and AppleScript shortcuts. 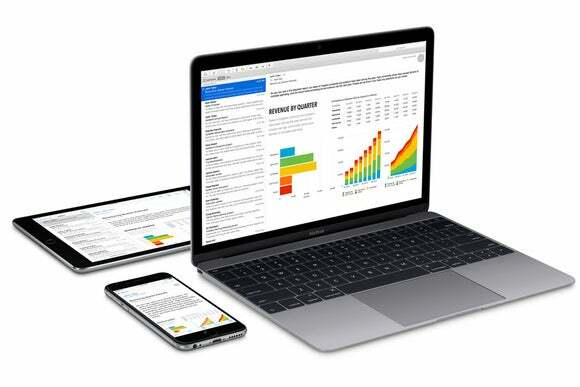 File management on the Mac is as easy as opening windows and dragging and dropping, while moving files around on the iPad is painful because it just wasn’t designed with that sort of thing in mind. I get why it wasn’t, but unfortunately I do still need to manage files. And when the iPad can match the functionality of the Mac, sometimes it comes only via a bunch of weird third-party apps, workflows, and workarounds. It’s all gotten a lot better, and for maybe 90 percent of what I need to do, my iPad Pro can do it–in many cases as good or better than my Mac. But when I ran into something in the other 10 percent, this week I was happy that a Mac was nearby. That said, my iPad has a 12.9-inch Retina Display, and my Air is an 11-inch model, and of course, it’s not Retina. It works, but it’s funny to open my Mac and find a display that’s inferior to the one on my iPad in pretty much every way. 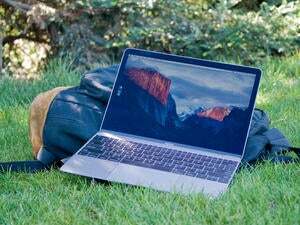 So why will I still try to travel without my Mac laptop most of the time? Simplicity, for one thing: I’m not ever going to travel without my iPad. I can’t even imagine the possibility of leaving my iPad at home and making do with an iPhone and a laptop. The iPad’s just too great for too many things. If I’m going to bring the iPad regardless, bringing that MacBook is one extra item. If I need to bring it, sure, I’ll do it—and leave the iPad keyboard at home. But it’s my Mac that has become the optional add-on device. And if Apple can add some more productivity improvements to iOS next year, maybe I’ll be able to finally do everything I need to accomplish without the laptop. That makes me wonder: Is this the last laptop I’ll ever buy? It’s certainly possible. The MacBook is gorgeous (albeit underpowered), and there was a time when I would have bounced off the walls at rumors that Apple might be working on a Retina update to the MacBook Air. But right now, I don’t see why I’d buy a new laptop to replace this 2013 model that still works well and doesn’t get a whole lot of use—even when I travel and bring it along.